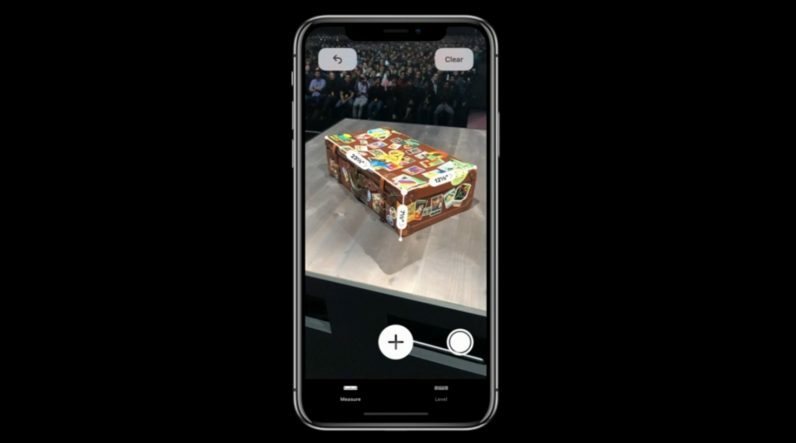 At WWDC 2018, Apple announced a new app as part of its AR offerings called Measure. It’s exactly what it sounds like. By simply using your phone’s camera, you can measure the size of real world objects. Apple exec Craig Federighi showed off a demo where he measured the dimensions of a suitcase and photo by just pointing his device at the object. The app shows a dotted line acting as virtual measuring tape of sorts, and you create virtual anchors on the object to measure other dimensions as well. It was a simple but impressive demo; measuring is something everyone does, so it’s certainly a practical tool. Of course, Apple is far from the first to come up with an AR ruler, but its tight control over software and hardware bodes well for the accuracy of the tool. More importantly; it’ll be on every iPhone. It could end up being one of those things you never thought you needed but end up taking for granted. Rulers are so 2017. Follow all of our coverage of Apple WWDC 2018 here.